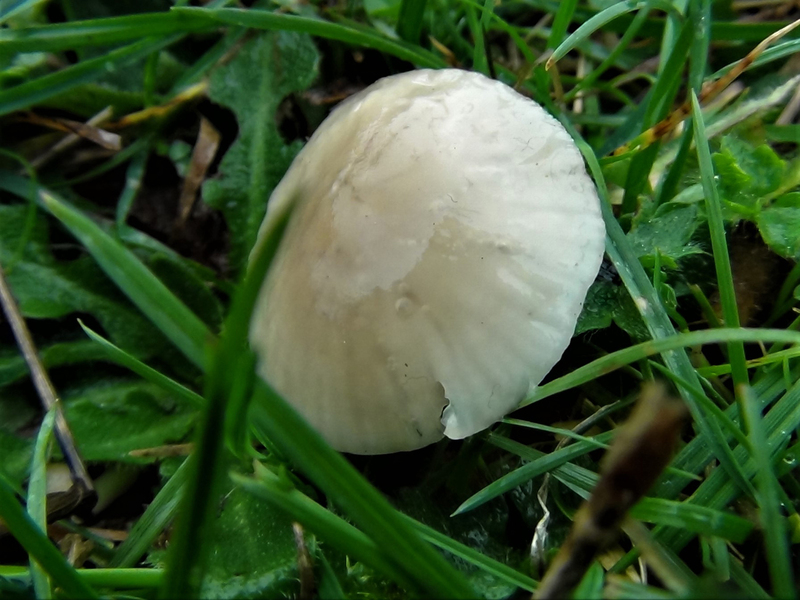 A common and tasty Waxcap but it still prefers undisturbed and untreated land although seems more tolerant than other Waxcaps. 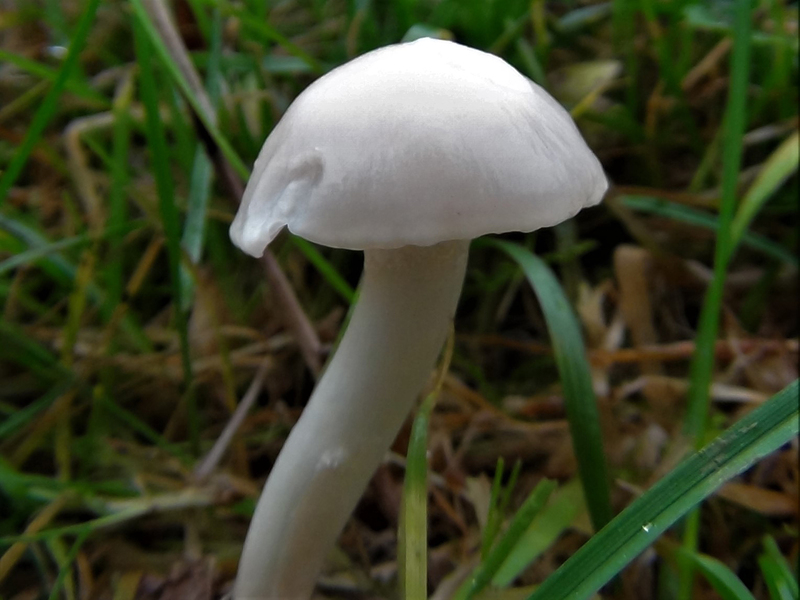 White to ivory white. 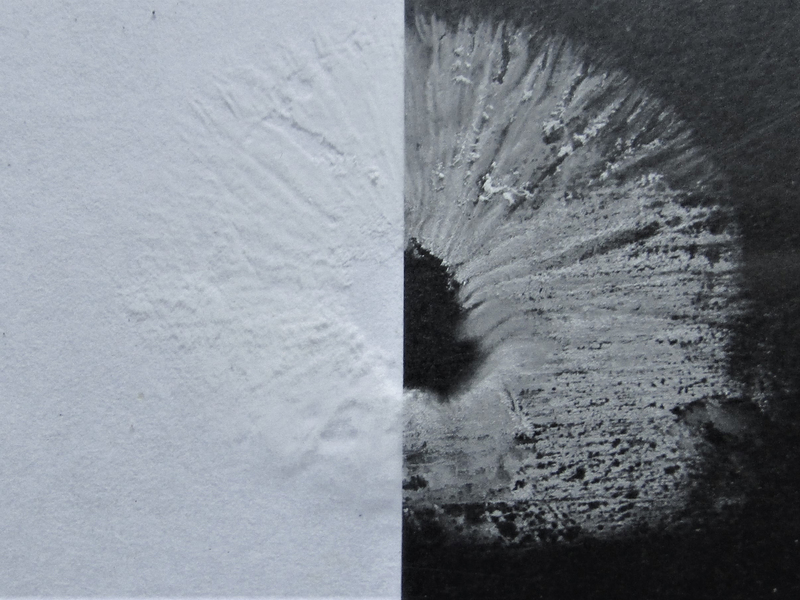 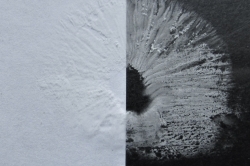 Starting convex but soon flattening and becoming depressed in the middle. 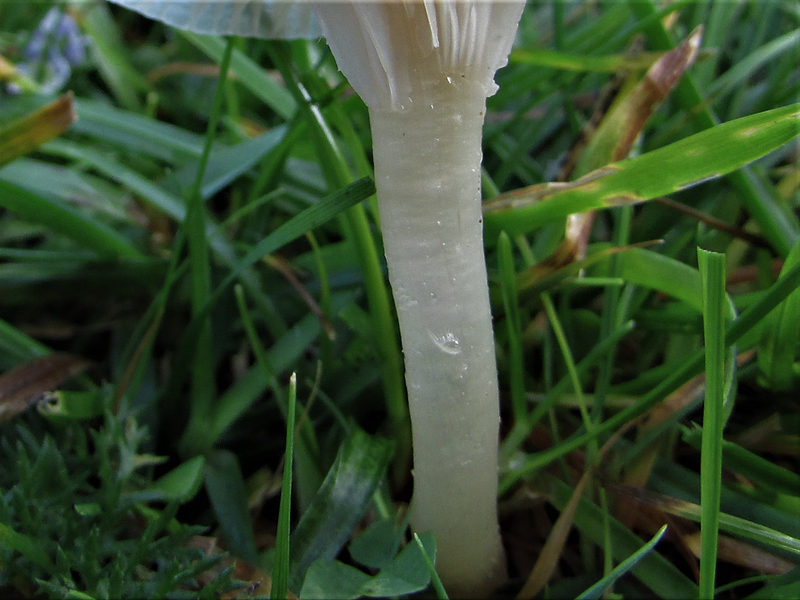 As the cap matures the colour generally goes from white to ivory to almost grey/brown. 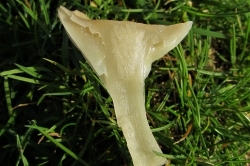 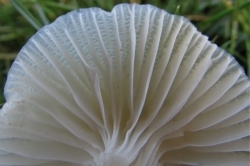 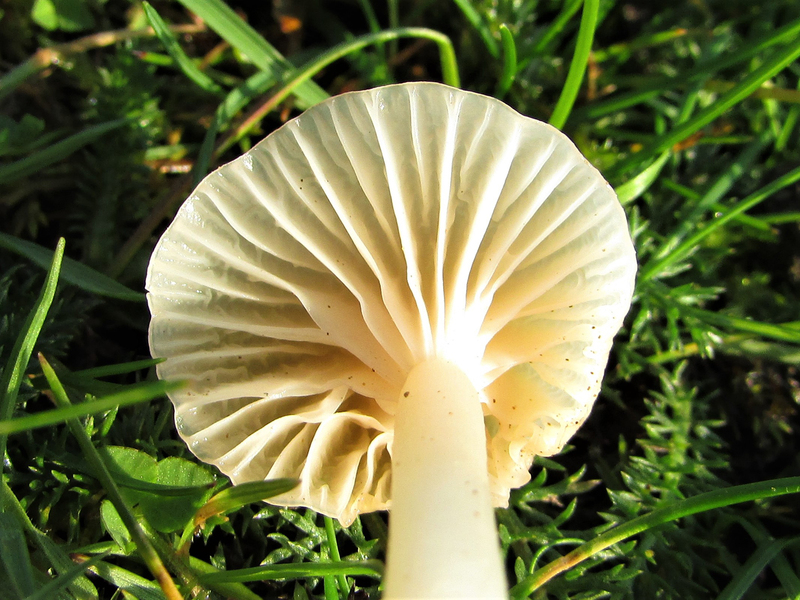 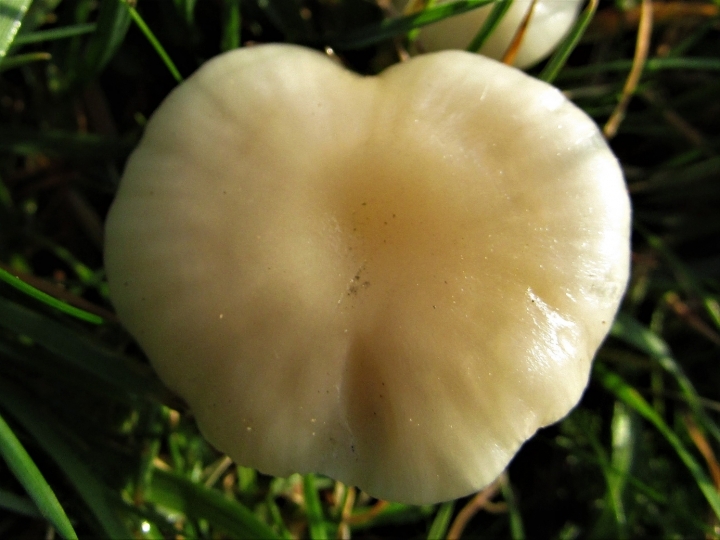 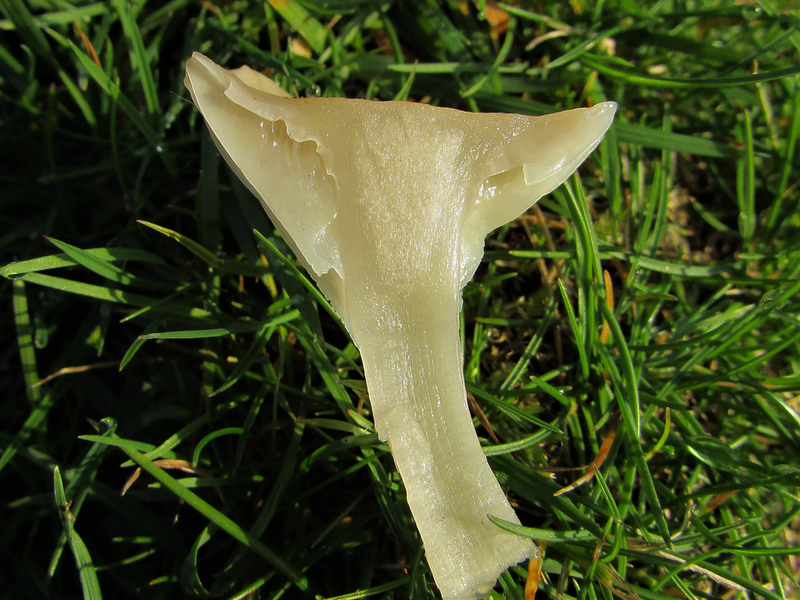 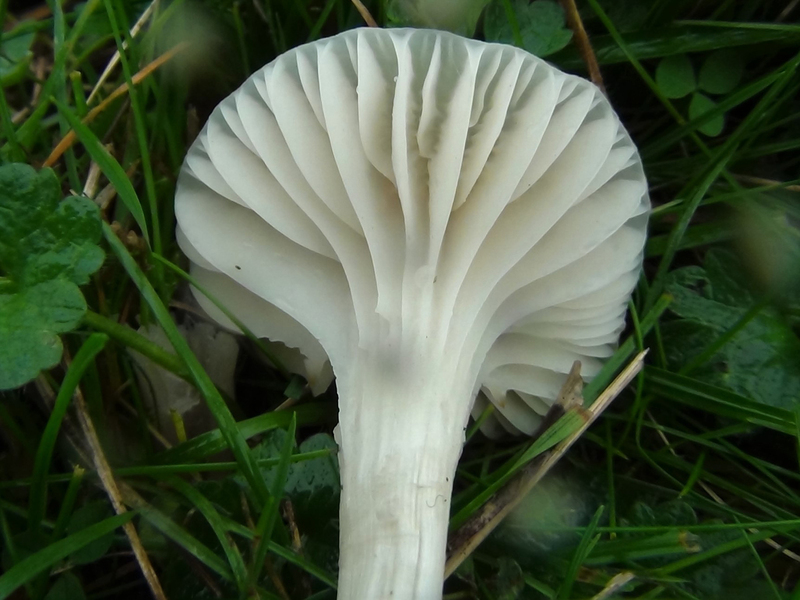 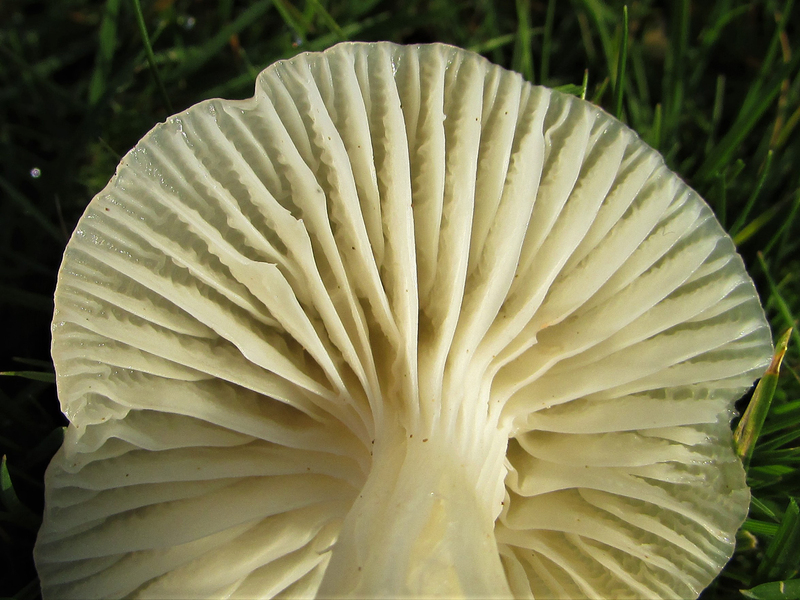 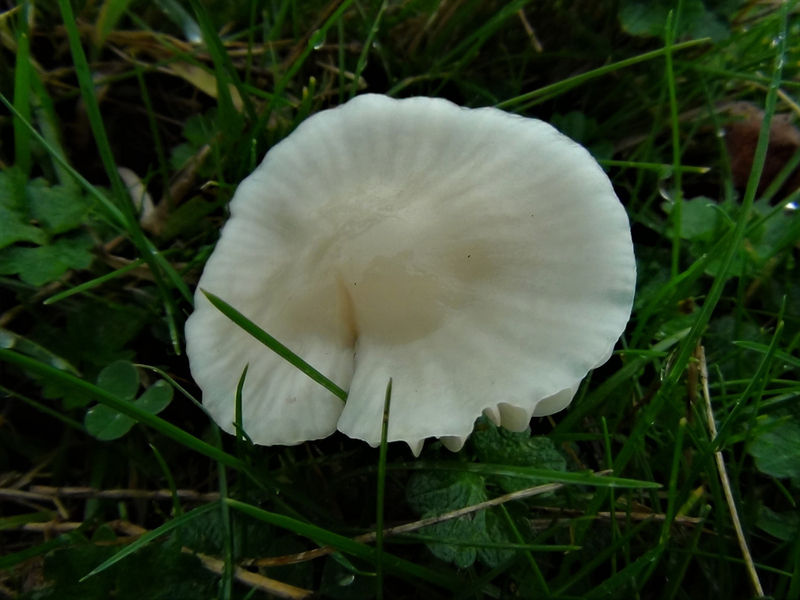 The gills are white, widely spaced and decurrent (running down the stem). 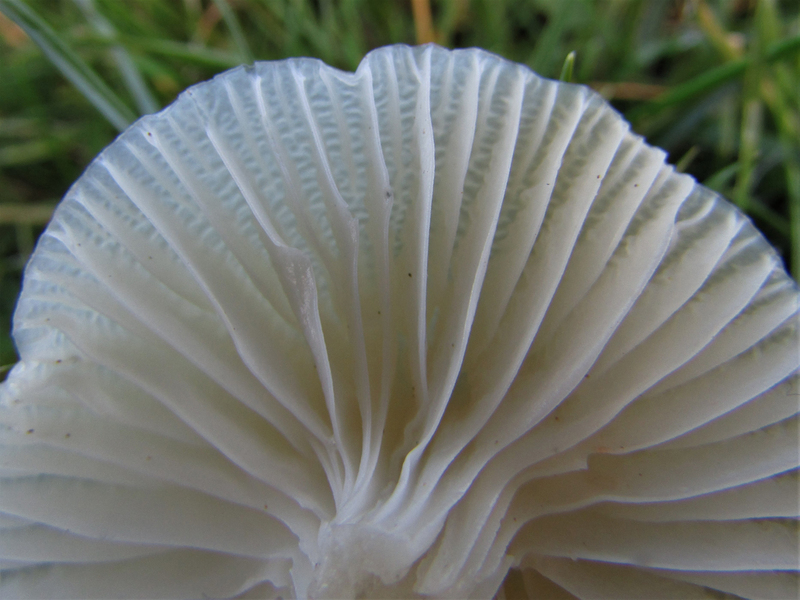 There are veins or very small gills running at right angles between the main gills. 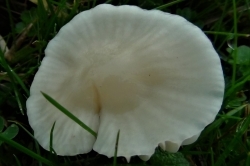 Tapering a bit towards the base and quite often curved. 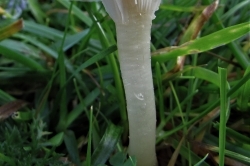 Thin except for the centre of the cap. 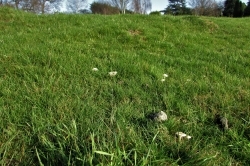 In short grass in fields, meadows or commons that have not been intensely farmed. 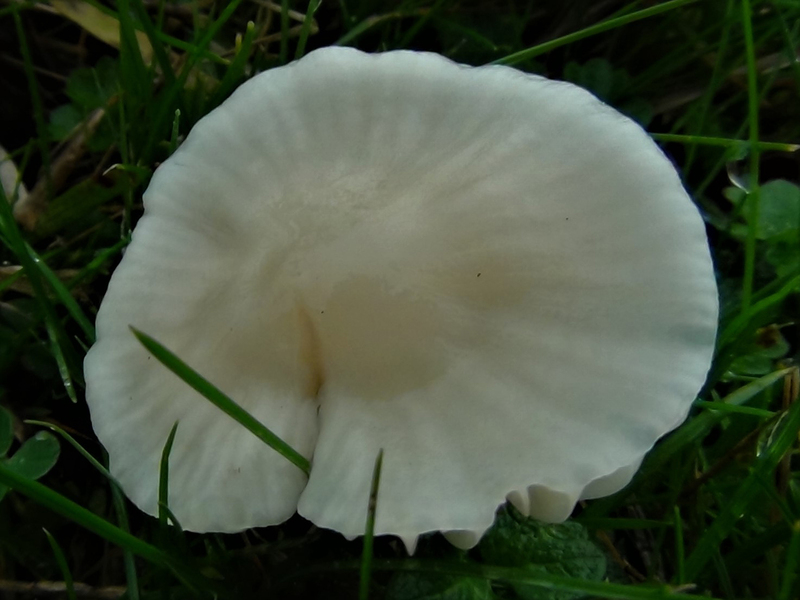 The Clitocybe rivulosa/dealbata, pictured, can look similar but the gills of the rivulosa/dealbata are quite crowded and not toothed and they tend to grow in different seasons but care should always be taken when foraging for white mushrooms. 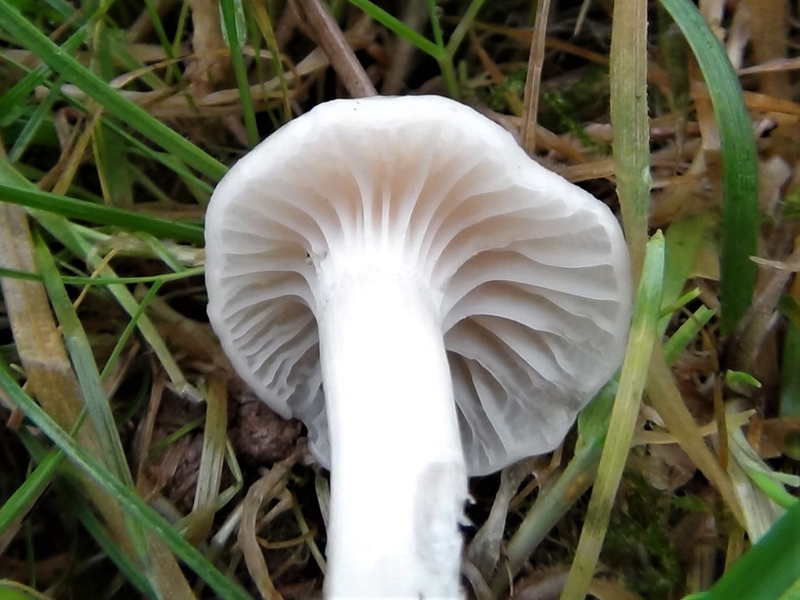 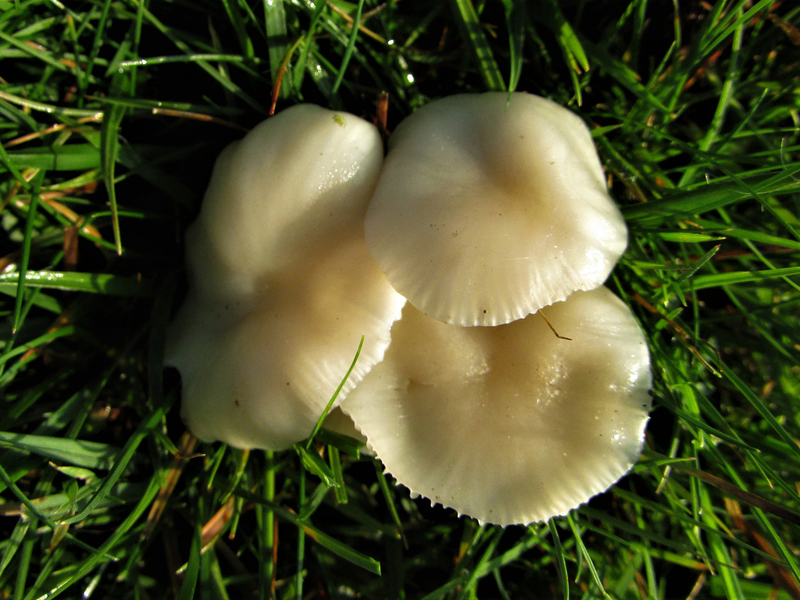 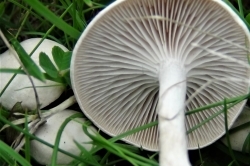 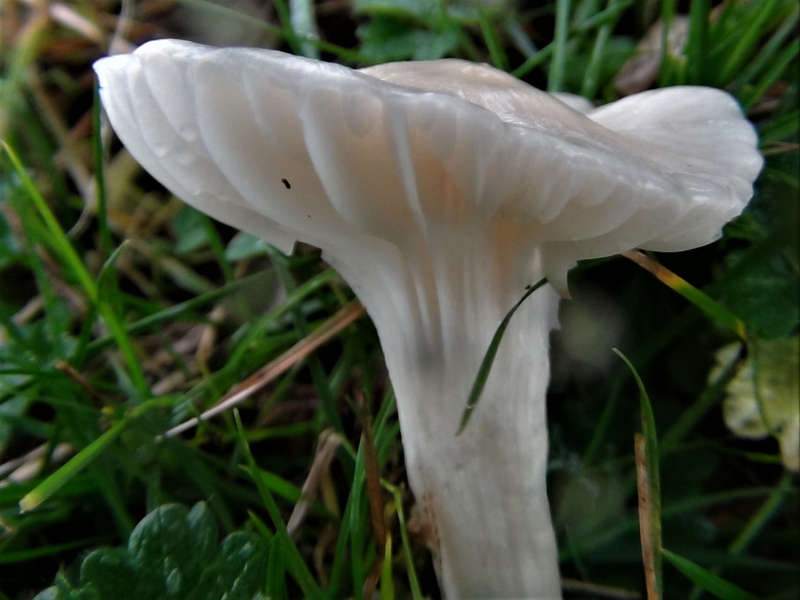 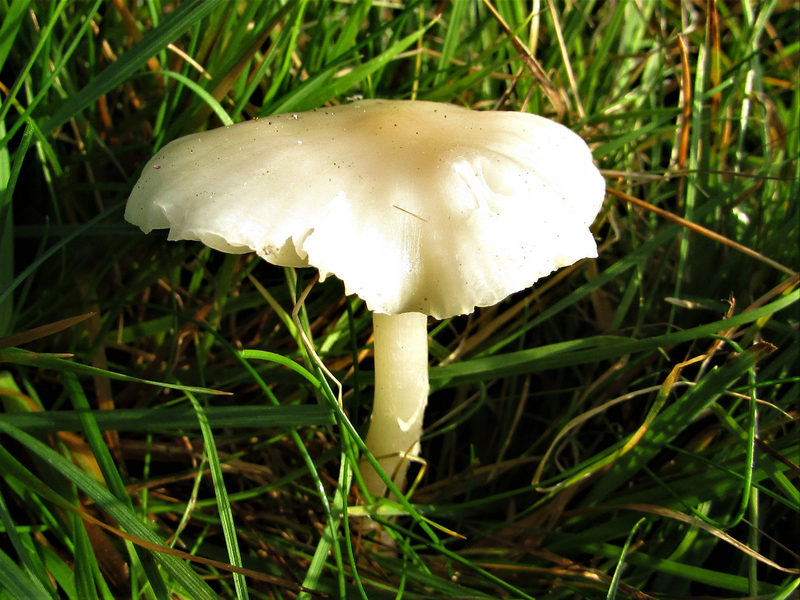 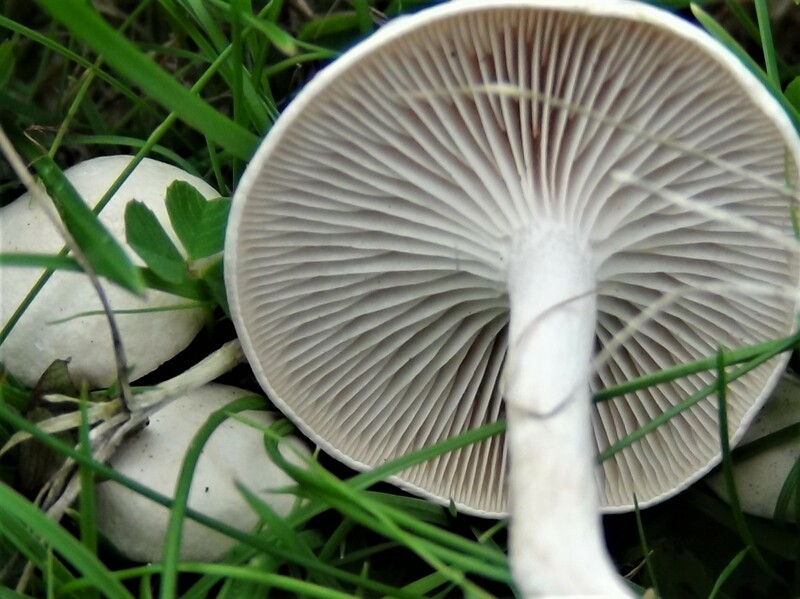 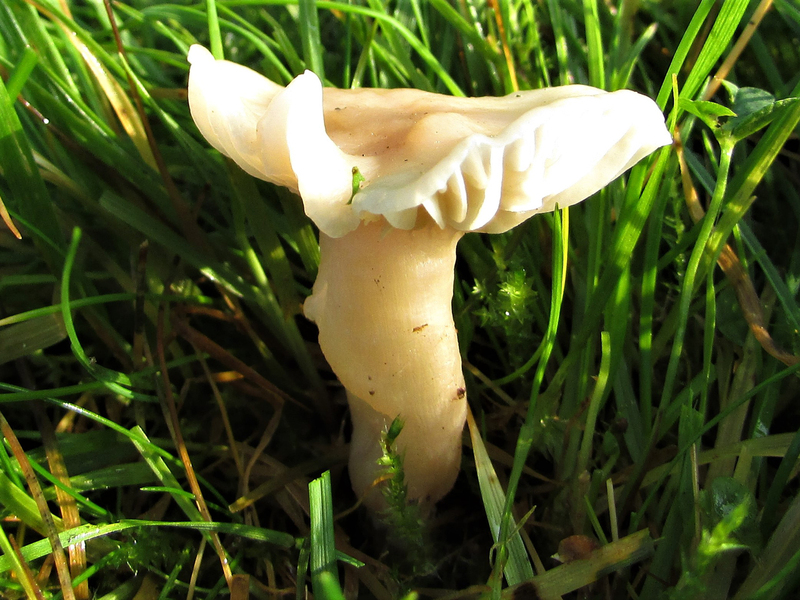 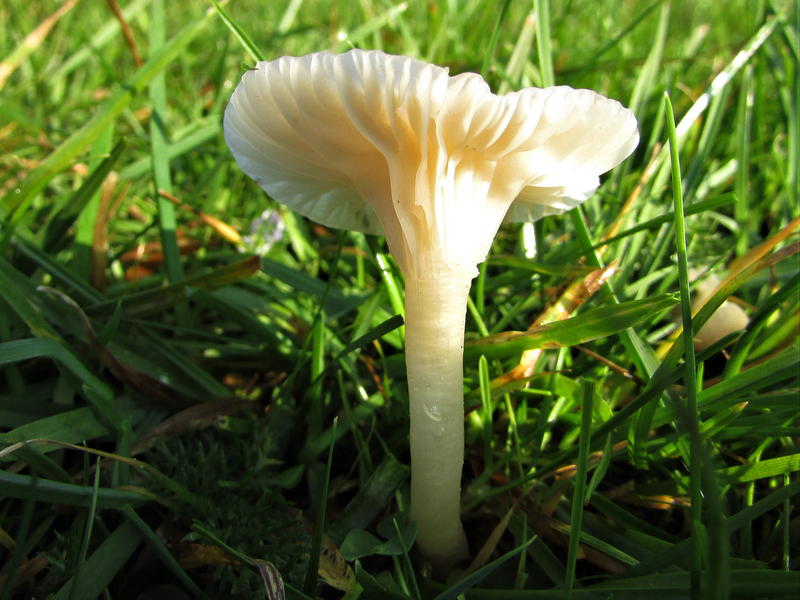 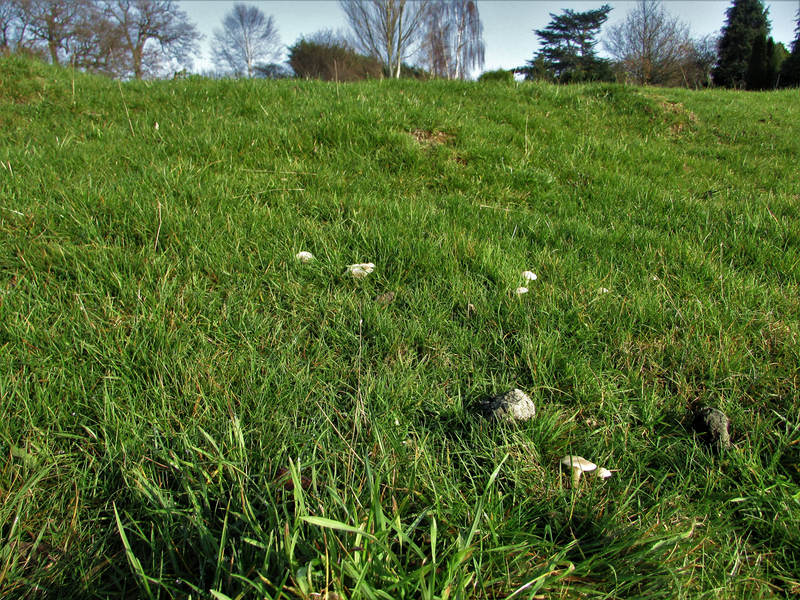 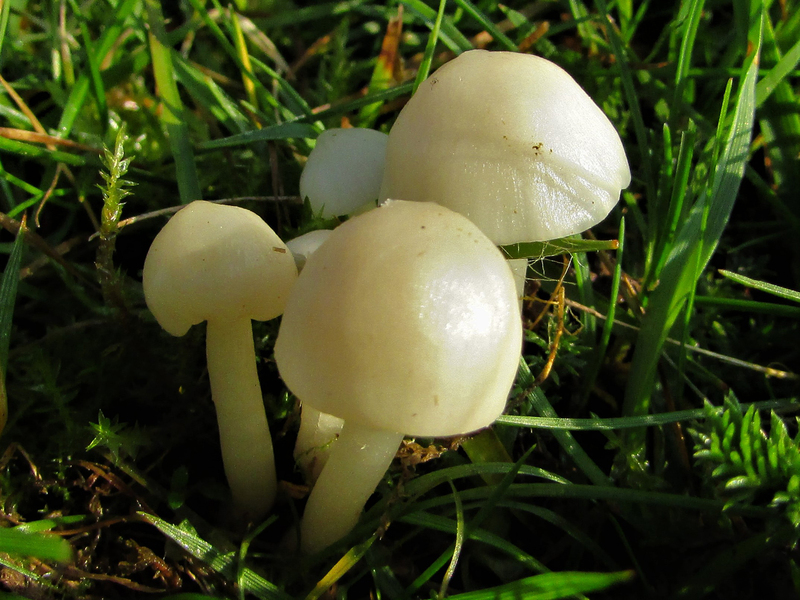 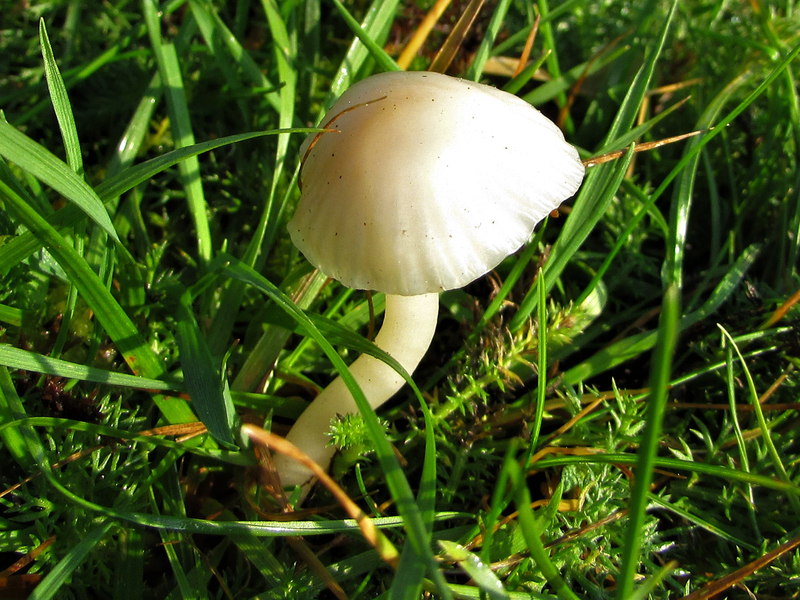 Care should always be applied when foraging for mushrooms with a white cap, white gills and a white stem as some of the most poisonous mushrooms in the UK are white all over.